Billy Faier in concert, Caffè Lena, New York, 6 May 1967. (BF-AT-032)- used for Billy's "Live at Caffè Lena"" album"
3.1 Bill Faier music, 1957-2000 FT-11316, and Billy Faier in concert, Caffè Lena, New York, 6 May 1967. 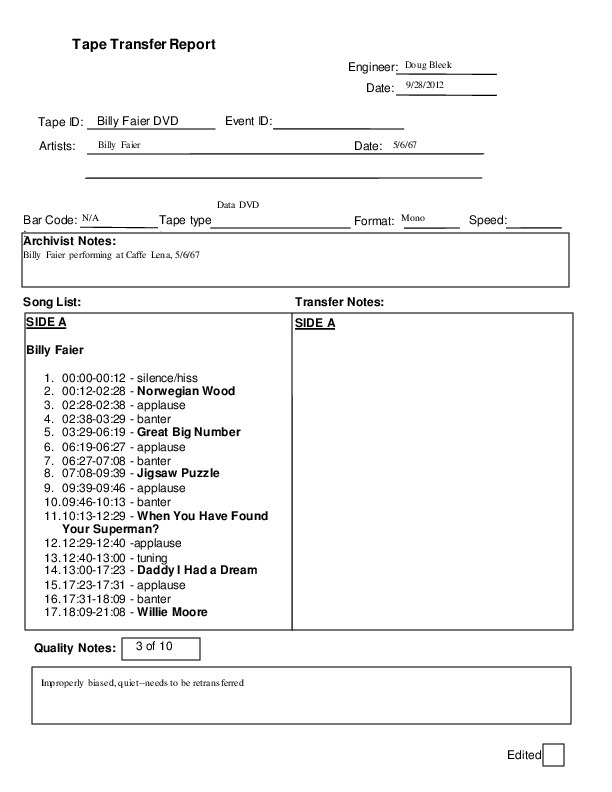 (BF-AT-032)- used for Billy's "Live at Caffè Lena"" album", “[Recording] 3.1 Bill Faier music,” Caffe Lena History, accessed April 26, 2019, http://history.caffelena.org/items/show/13881.